With well over 10,000 shipments to Belgium under our belts, we know how the transportation process works and will make sure your things are shipped securely at a great rate. So whether you are transporting your motorcycle to Brussels or have been relocated to Antwerp for work and need to move your family and household effects, we can get you there. We ship to all major cities in Belgium including Bruges, Brussels, Gent, Hasselt, Charleroi and La Louviere. If you are relocating to a smaller town or city other than the ones listed above or just need something shipped to the country, we can make arrangements to deliver to your specific destination in most cases. Additional shipping services include boat and yacht transportation to Belgium, classic car shipping and some oversized cargo. Trying to give our clients a generic figure for the costs associated with shipments to Belgium is something we don’t do. Each and every customer has different requirements and different costs that will be associated with their goods. For this reason, it is better to speak with one of our experts at 800-599-0190 or fill out our form to get a quick and accurate quote. We will be happy to answer any questions you may have dealing with your international shipment to Belgium. 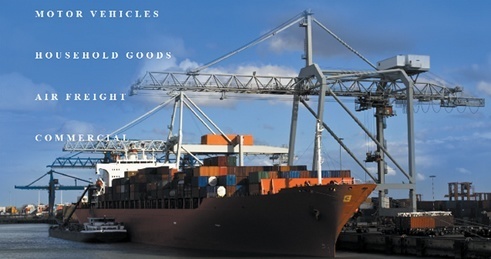 This is the quickest way to get an international shipping quote for Belgium. Before you call make sure you have all your dates in order including U.S pickup, arrival deadlines and the address for the items final destination in Belgium. Other factors will vary depending on whether you are moving your household goods, a vehicle, traveling with pets or have any additional requests. We moved more than 500 Americans to Belgium last year . Most expats live in the capital city of Brussels. It is 5,613.46 miles from Los Angeles to Brussel.